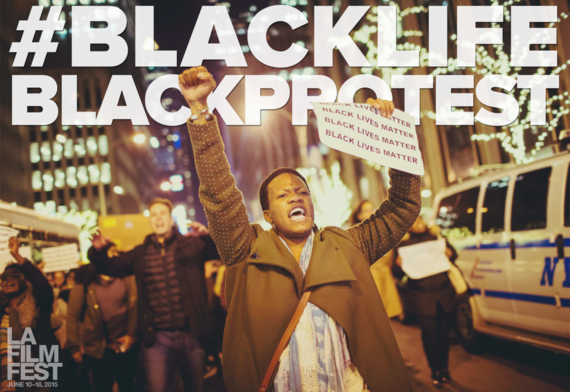 Thursday, June 11 at the Los Angeles Film Festival, #BlackLifeBlackProtest will showcase seven short films exploring issues of police violence, implicit bias, black identity and human rights, followed by a public dialogue on how content creation can be used as a tool for social change. In anticipation of the event, I spoke with four of the filmmakers in the program about the social significance of their films. Included in the conversation were dream hampton, director of We Demand Justice for Renisha McBride; Pete Chatmon and Dorian Missick of Black Card; and James Lopez, producer of AmeriCAN. Though their films tackle different topics, all of the filmmakers say they felt compelled by current events. Lopez, a Sony executive, was inspired to make AmeriCAN during unrest over the police killing of unarmed teenager Michael Brown. He shared the idea with director Nate Parker, who wrote the script on a three-hour plane ride to protests in Ferguson, MO. The resulting short film follows a white police officer whose night on patrol takes a shocking turn. "I felt like no one was listening to each other," says Lopez. "You had people on one side saying that police are bad, and on the other side they're saying African American males are criminals and deserve to be shot. So I wanted to make something that both sides would listen and relate to." Before the rise of the #BlackLivesMatter movement on social media and in the public consciousness, Lopez and his team chose the hashtag #AllLivesMatter to use with their short film, looking to connect with people of all backgrounds. "The main group of people that we wanted to see this piece, we felt like they would tune it out if they weren't being addressed. We wanted people of all races to be engaged and we didn't want to exclude any one group." dream hampton was in Detroit filming her feature documentary Treasure: From Tragedy to Trans Justice when she heard about the fatal shooting of 19-year-old Renisha McBride. 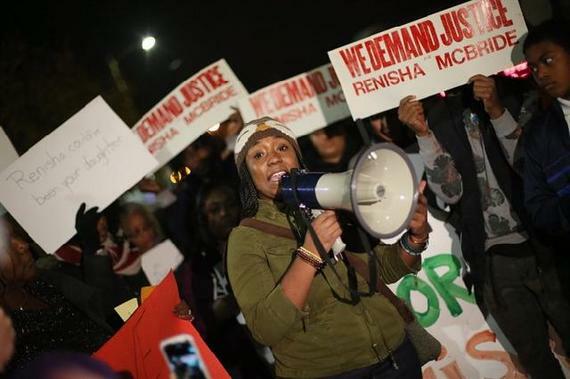 She staged a protest, and aided by DP Adam Saewitz and the camera from her feature film, captured footage that would become the short We Demand Justice for Renisha McBride. "I would have called a protest even if it was just me and two of my friends in the Dearborn Heights Police Department parking lot," she says. "I was that outraged, and I needed to be around other humans who could still muster outrage about a 19-year-old girl, unarmed, and shot in the face." Not only did the piece offer an emotional release, but it also helped fill the gap in mainstream media where coverage of McBride's shooting was lacking. "I think that we can fight back against erasure with these films," hampton offers. "Everyone from CNN to Democracy Now to the thousands of shares on social media, they all used it as source material because they hadn't gone out and built up this story themselves. In fact, the police department hadn't even bothered to investigate her death. They went to [shooter] Ted Wafer's house and he told them his version of the story. He never had to come out of his pajamas. And then they went back to the station and were going to close the case. There wasn't an existing Fox News clip that you could go to, so we created the news clip. We created our own media." While many of the films in #BlackLifeBlackProtest look at biases stemming from outside the black community, Black Card explores issues of identity within. The short satire represents blackness with a proverbial black ID card that can be issued, lost or revoked. Says director Pete Chatmon, "There are a lot of outward injustices that come against us as a people, but I think there should be some type of conversation that faces inward and discusses what folks might be doing that isn't allowing them to be whatever they want to be. You have to have both conversations at the same time." Tony Patrick wrote the script a decade ago, but Chatmon found it to be timely today in an age when the status of black Americans is constantly challenged, and yet those outside the culture still appropriate blackness for popular use. "It's hard to have the conversation without going back hundreds of years, because the biggest challenge in blackness is that there was a strategic effort to strip it away. So all you were left with was trying to find out how to define yourself against the idea of whiteness. It becomes, 'You can't dress like they do, you can't talk or walk like they do.' It becomes all of these things that you can't do because you don't want to reflect an oppressive construct." Adds producer Dorian Missick who also stars in the short, "I think of it as the curse of the middle class, because the middle class is the only part of our community that seems so concerned with how we're viewed by people outside of our culture. Because you have to operate in both worlds - the very black world of whatever your family life is, and the mixed world of whatever your work or school space is." The filmmakers are hopeful that young people will be the key to resolving some of the issues explored in their films, whether from within the community or outside. Says Lopez, "I'm acutely aware of the race problem, but my child's generation is completely different. They don't see it at all. It's not how they think, they haven't been conditioned to think that way." Missick agrees, "The younger generation is taking things from every different culture and have made it into their own thing. I think because of that, less and less the conversation is going to be about what's definitively black or white." "But without having a conversation about it, you're not going to get people to have that aha moment," adds Chatmon. "I don't care if it's as small as somebody in the hood acknowledging that they like skateboarding. That's actually a pretty big thing. So over a long enough timeline, hopefully people get a little more comfortable." hampton is already seeing her films at work in the community and hopes to do more. For Treasure, there are plans for a curriculum guide and workshops led by the trans women who appear in the film. "Most people don't know the difference between gender and sexuality and all of these things," she explains. "They confuse and conflate them, and the girls that I've worked with in Detroit do these amazing workshops around gender that I hope to be a part of any screenings that can accommodate them." As for Renisha McBride, the short stands as an example of the influence that content creation can have. Says hampton, "Inasmuch as we can get justice from this criminal injustice system, we got it. [Prosecutor] Kym Worthy got a conviction. Ted Wafer is in jail for the murder of Renisha McBride. So hopefully this will be something that people who are trying to produce their own media can use as a template. They can improve upon it, correct any mistakes they may have seen, and it can be instructive." 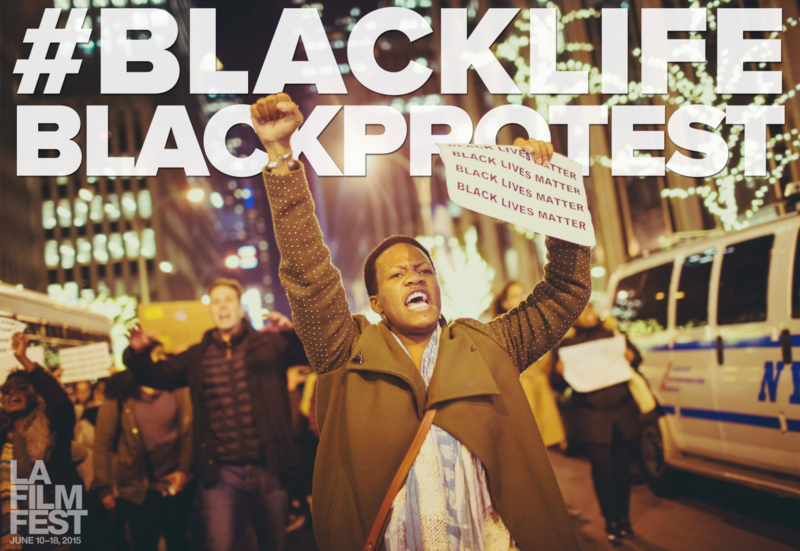 #BlackLifeBlackProtest screens at LA Film Festival on Thursday, June 11 at 6pm at Regal L.A. LIVE. Seven short films will screen, followed by a panel discussion with actor and filmmaker Tony Okungbowa, author and educator Tananarive Due, activists Ashley Yates and Damon Turner, and film professor Christine Acham PhD. The event is free and open to the public. Tickets can be found at lafilmfest.com.